ABBASOFT solutions for Suppliers provide comprehensive systems for Promotional Products companies. Built on SAP Business One, ABBASOFT solutions are integrated, affordable business management solutions that can help streamline your project work flow and improve your productivity. ABBASOFT solutions support all of your critical business functions in a near-paperless environment allowing you to stay on top of your business while growing your profitability. 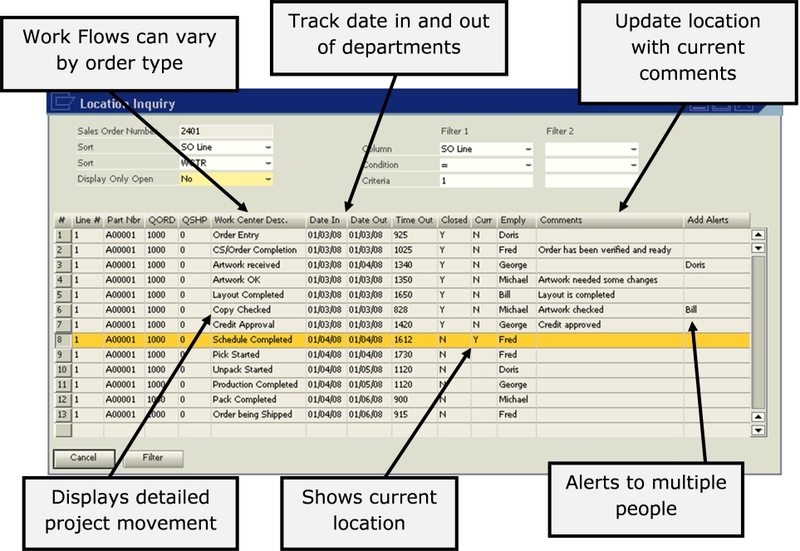 The Work Flow extension can provide detailed tracking of sales orders every step of the way. Work Flow can vary by order type and production location and allows for up-to-date order status on your website for your Distributors. Insert and track re-work steps. 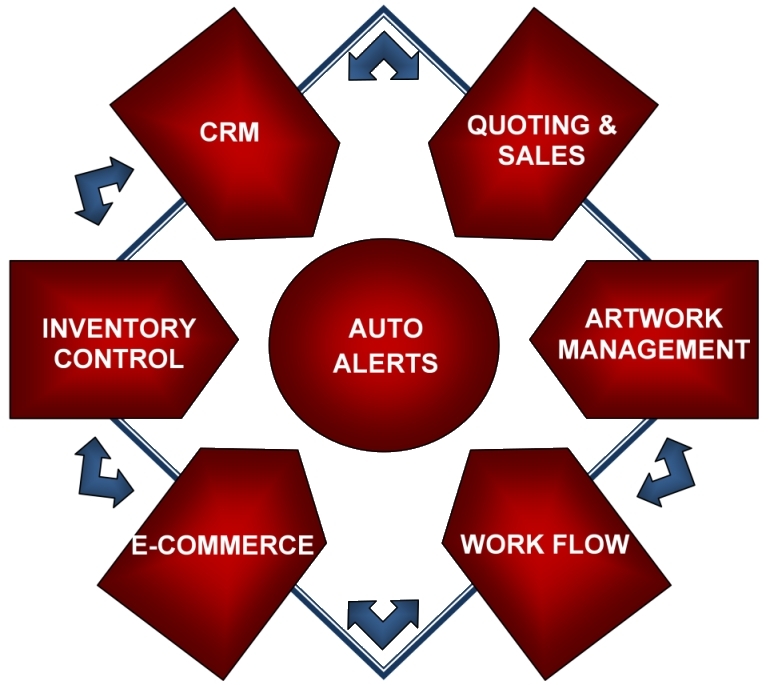 Provide automatic alerts for jobs that stay too long in a department. Report work load by department by employee. Credit logic can stop Work Flow at critical departments, but allows pre-production work to continue.